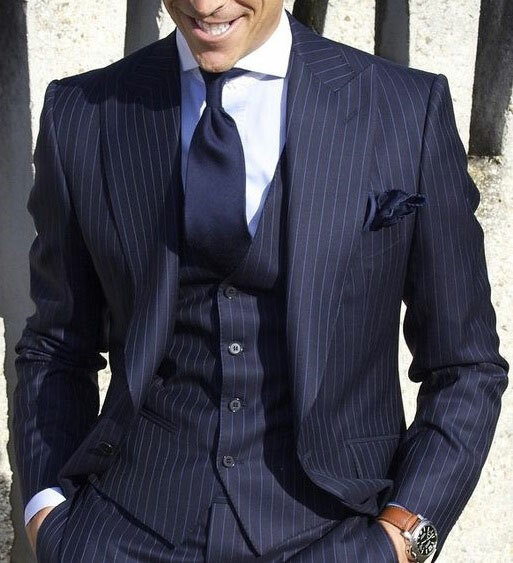 You will never be a well-dressed man if your clothes do not fit you properly. This is true when speaking about all articles of clothing but especially when talking about shirts. The importance of a well-fitted shirt cannot be overstated. A shirt is something that you wear every day and is crucial to how you are perceived. Why? Because it defines the part of your body that gets the most attention. Yes your bottom half may also get checked out from time to time but it is our upper half that mostly defines our physique. Additionally, it is our face that commands others attention when engaging with them and it is the shirt, particularly the collar, that frames our face. So if you are not wearing a jacket, sweater or other layer over your shirt then it is what will get noticed the most. Depending on your body type – tall, short, thin or wide or your coloring – light or dark, you will want to consider the color and patterns of your shirts. Stripes can elongate you and make you look thinner while bold colors can draw attention to your size rather than minimizing it. But no matter how well matched and how good a shirt looks on the mannequin it will never complement you if it is poorly fitted. Even if you are oversized, a baggy shirt does not hide your bigness but rather makes you appear larger. 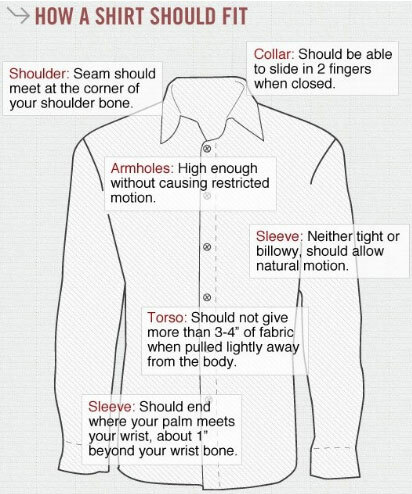 No matter what your build a well-fitted shirt is one that is not too tight or too loose. It is the one that satisfies both comfort and appearance. Obviously, the best approach to having your shirts fit you properly is to have them custom made. But even if you would rather buy off the peg most body types should be able to find a reasonably good match given all the different fits and styles afforded by the various brands in the market place. 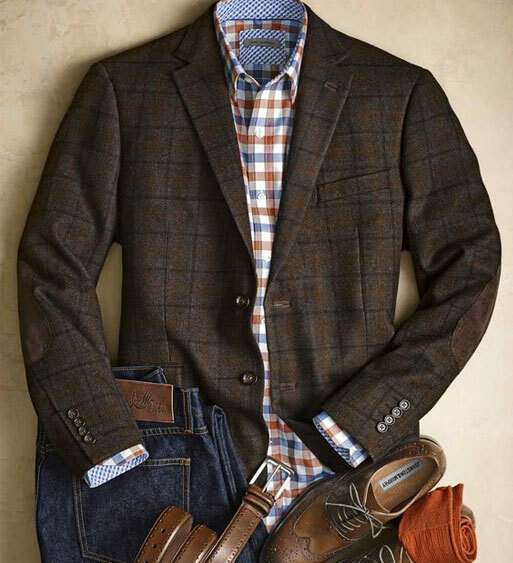 Of course a good tailor can also do wonders by making the adjustments you may need. The following illustration should provide a general explanation on how your shirts should fit. You will benefit from our meticulous attention to detail, unparalleled customer service, quick turnarounds, and great prices.